Boot Camp Basics gets you out of any slump, breaks down and drives you past any playing plateau, isolates and eliminates sleeping sloppy habits, and brings you back into stroke and up to playing speed if you've been away from the game for any length of time. These drills place special emphasis on sharpening your aiming, kicking, and banking skills. 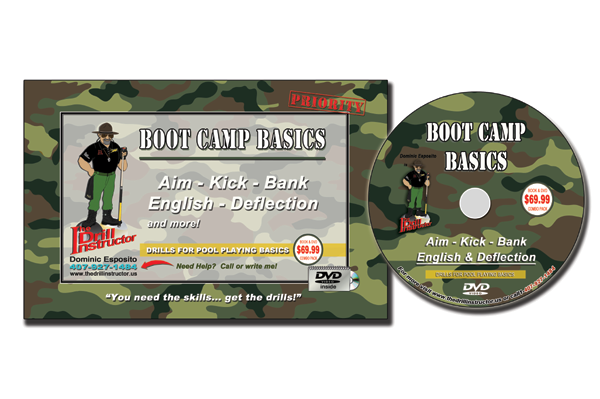 The DVD provides the benefit of multi camera teaching angles so you get the exact views you'd get in a one-on-one session with The Drill Instructor. How many hours per month do you train with a paid pro pool coach?